GREENWOOD, Del. – Delaware State Police have arrested a Georgetown man with DUI and other charges following a single vehicle crash Saturday night. Troopers responded to Beach Hwy, east of Blacksmith Shop Rd in Greenwood at around 10:30 PM for a report of a vehicle in a ditch. 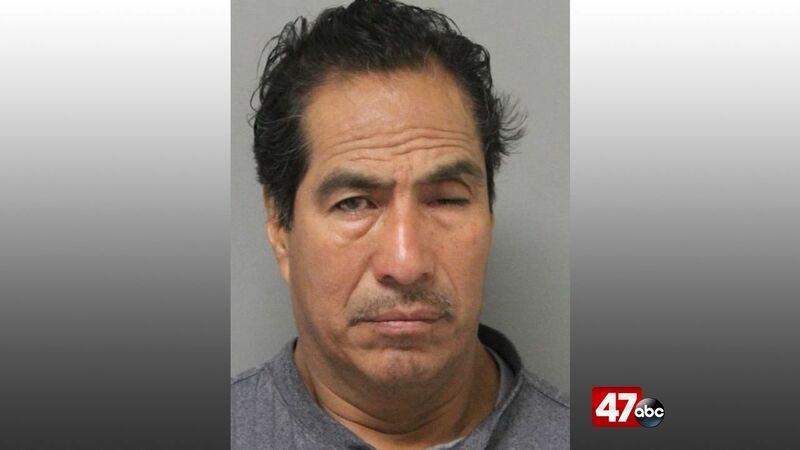 When police arrived, they made contact with the driver and sole occupant of the vehicle, identified as 52-year-old Felix Robledo, and immediately detected a strong odor of alcohol. Police determined through a subsequent investigation that Robledo was impaired at the time of the crash. It was also learned that he had six prior DUI convictions. Robledo was arrested and charged with 7th offense DUI, no proof of insurance, and failure to drive at a speed appropriate for conditions. He is currently being held at the Sussex Correctional Institution on $22,000 secured bail.